For any number of reasons, regulatory issues among them, orthopaedic innovations in China often have modest relevance for the practice of orthopaedics elsewhere in the world, but that doesn’t make them any less fascinating. Case in point: According to Becker’s Spine Review, surgeons in China recently implanted the first-ever 3D-printed cervical disc in a 12-year-old boy. The surgeon, Dr. Liu Zhongjun, described the procedure as successful, although the patient will have to remain in a head frame with pins for three months. The Becker’s story did not specify the material from which the cervical disc was printed, but 3D printing is capable of producing porous metal implants, and companies have reported success with 3D-printed implants made from thermoplastic materials. One theoretical advantage of 3D-printed orthopaedic implants is that they can be customized based on digital images of a patient’s actual anatomy. That would conceivably result in a better fit, quicker recovery, and fewer complications. Still, don’t expect to find a 3D prosthetic printer in your hospital anytime soon. Clinical studies required to ensure the safe and effective use of even the most promising new technologies take years. And even after such studies are completed, regulatory approval and coverage from payers is not guaranteed. In May, more than 300 orthopaedic surgeons attended the National Orthopaedic Leadership Conference in Washington, DC. During the conference, attendees took time to recognize the success of the AAOS Project Value initiative, which was started by former AAOS president John R. Tongue, MD. The initiative’s project team set out to quantify the social and economic benefits of musculoskeletal health care. “The Direct and Indirect Costs to Society of Treatment for End-Stage Knee Arthritis,” JBJS, August 21, 2013. This article estimated that TKA has already generated lifetime societal savings to the U.S. economy of $12 billion. 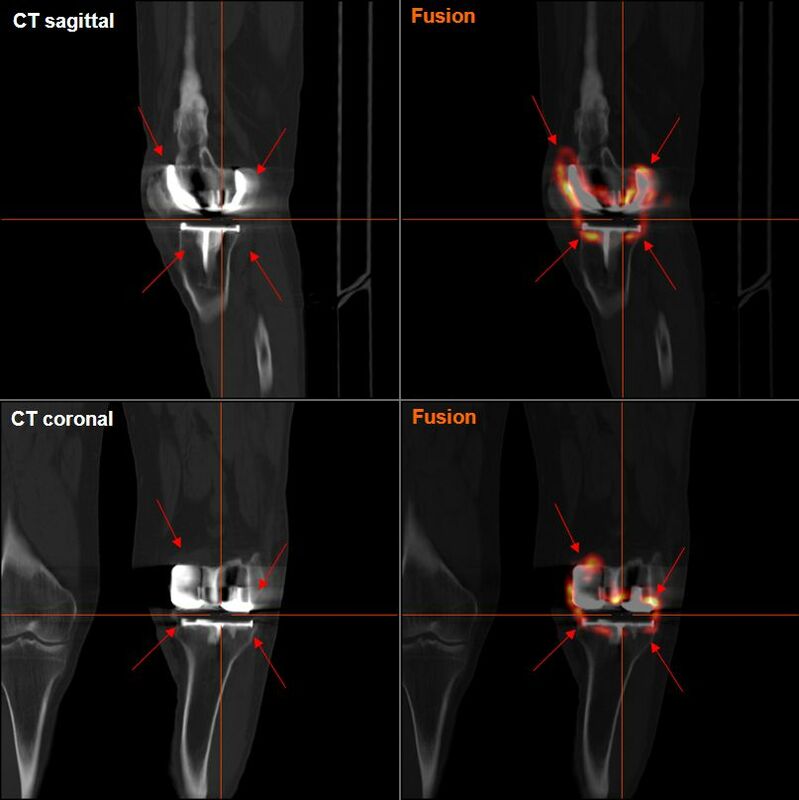 “Societal and Economic Impact of Anterior Cruciate Ligament Tears,” JBJS, October 2, 2013. Analysis found estimated annual savings from ACL reconstruction of $10 billion. “The Societal and Economic Value of Rotator Cuff Repair,” JBJS, November 20, 2013. Estimated lifetime savings to the U.S. economy were calculated to be $3.44 billion. “How Does Accounting for Worker Productivity Affect the Measured Cost-Effectiveness of Lumbar Discectomy?” Clinical Orthopaedics and Related Research, December 2013. AAOS also hosts a website to highlight the notion of value in orthopaedics: www.ANationInMotion.org/value. Despite an average resident salary of $55,330 a year and over a third (36%) claiming they owe more than $200K in loans when they finish residency, 83% of residents polled by Medscape said they are still looking forward to practicing as a physician. Medscape’s recent survey, Residents Salary & Debt Report 2014, polled 1,200 residents across 25 specialties and revealed that orthopaedic residents make an average annual salary of $57,000. The highest average resident salaries of $65,000 are in critical care, and the lowest ($52,000) are in family medicine. Despite low salaries, heavy debt load, and long work hours (66% of Year 1 residents spend 60+ hours a week at work), roughly half (48%) of male residents and 60% of female residents said they are compensated fairly. Gender influences salaries in resident programs, but the male/female differential is only 4%, much lower than the 24% difference by gender among non-resident physicians. Geography also makes a difference in resident pay. Residents in the Northwest receive the highest salary (an average of $71K) followed by those in the Northeast, with an average salary of $61K. The treatment of periprosthetic infection remains one of the most difficult and challenging problems in orthopaedic surgery. Conventional approaches such as the use of tissue and/or fluid cultures to identify and treat organisms are not nearly as successful as they need to be in order to address these conditions. The limitations of treatment, including the inaccessibility of microorganisms at the time of irrigation and debridement, the development of resistant strains of microorganisms, and the elaboration by microorganisms of protective biofilms, have led to unsuccessful outcomes in a large number of cases. In this issue of JBJS Reviews, Chen and Parvizi provide an update on some of the new methods that may possibly advance this field. Molecular methods such as polymerase chain reaction to amplify bacteria can improve the likelihood of identifying the pathogen in a patient with a periprosthetic joint infection. Synovial markers such as C-reactive protein, leukocyte esterase, α-defensin, human β-defensin-2 (HBD-2) and HBD-3, and cathelicidin LL-37 are known to be elevated in patients with periprosthetic joint infection and may be used as markers for diagnosing infection at the time of operative management. Serum markers such as interleukin-4 (IL-4) and IL-6, and others such as soluble intracellular adhesion molecule-1 (sICAM-1) and procalcitonin (PCT), have been shown to be elevated in patients with periprosthetic joint infection. Molecular detection methods probably have received the most attention and interest as an advancement that may improve our ability to diagnose periprosthetic infections. The limitations of these methods, however, include their high sensitivity and an increased rate of false-positive results. Methods to reduce the number of false-positive results are currently in development and include, among other things, the measurement of 16S ribosomal RNA in the belief that targeting RNA will result in amplification of only the genetic material of live bacteria. In addition, use of the mecA gene for identifying methicillin-resistant Staphylococcus aureus (MRSA) can reduce this rate. Although this article does not provide definitive new approaches to the problem, the review of recent advances with the development of promising biomarkers and molecular techniques provides optimism that this field is evolving in a positive way. What’s more important after rotator cuff repair: How the shoulder feels and functions or how it looks on an MRI or ultrasound? Rotator cuff disease is the most common cause of shoulder pain and dysfunction. Operative repair is frequently performed with successful outcomes. Moderated by Andrew Green, MD, JBJS Deputy Editor for the Upper Extremity, this webinar will conclude with a live Q&A session, during which the audience can query the authors and commentators—and get answers—in real time. Webinar attendees will hear from study authors Michael Khazzam, MD, and Jay D. Keener, MD. In addition, rotator cuff experts Scott Rodeo, MD, and Robert Tashjian, MD, will further analyze the findings from these studies and add perspectives from their own experience and research. Register now to learn from this panel of experts and contribute to the dialogue—all from the convenience of your computer, smartphone, or tablet. People with shoulder impingement syndrome (SIS) randomly assigned to six sessions of physical therapy (PT) experienced the same 50% improvement in average pain and disability scores as a similar group that received up to three corticosteroid injections over the course of a year. However, the injection group made more office visits and had more additional procedures during the 12-month follow-up period. Editorialists commenting on this Annals of Internal Medicine study hypothesize that the lower resource utilization of the PT group may be attributed to patient-clinician interactions that “provide an opportunity for therapists to better address patients’ concerns about their conditions, provide reassurance, or educate patients in self-management.” They go on to say that if further research pinpoints specific inflammatory and non-inflammatory “diagnostic phenotypes” of SIS patients, clinicians could prescribe more targeted therapies. The Federation of State Medical Boards recently unveiled an updated draft of its “interstate compact” for physician licensure. Because physician licensing is a state-by-state process, once the compact language is finalized, states would have to approve participation legislatively. The compact would offer a streamlined process for licensing physicians to practice in more than one state. The potential benefits include providing physician services in rural and underserved areas and promoting the growth of telemedicine. Eligibility for expedited licensing will be limited to board-certified physicians with an unrestricted license in one state for the past three years, and to those who’ve had no run-ins with disciplinary boards, courts, or the DEA. The physician would be responsible for paying required fees to the additional states and to the interstate commission overseeing the process. The location of the patient, not the physician, would be the jurisdiction for oversight, and participating state boards would be required to share complaint and investigative information with other participating states. The federation expects legislation to be ready for states to consider beginning in early 2015, and federation president Humayun Chaudhry, DO, expressed confidence that the compact would be endorsed by all states. In the meantime, stakeholders will have to address questions such as how patient insurance and medical liability insurance will work with the compact. Many orthopaedic surgeons come from an active background, often including competitive sports and other “high energy” activities. Injury is no stranger to many of us. In fact, it is often a youthful injury that put us in contact with an orthopaedic surgeon and spurred us to consider a career as a physician. Once we gain exposure to the various specialties in medical school rotations, we often find that orthopaedic surgeons are the most contented lot and have abundant enthusiasm for their patient-care activities… and we join the tribe. Knee injury is common to many sporting activities, and of the various types of knee injuries, ACL rupture is among the most common. Many orthopaedists have experienced it firsthand. During my surgical education, ACL repair was in its infancy and we were navigating the transition between extra-articular and intra-articular reconstruction. Early in my academic career, I could identify many colleagues who had an ACL tear (diagnosed by physical exam with perhaps an arthrogram to check for meniscal tears, in those days prior to MRI) who had not undergone surgical reconstruction. This was my own personal situation. Now that the diagnosis is highly reliable and highly reproducible outpatient arthroscopic reconstruction is available, I suspect this is no longer the case. However, for patients who have lower functional expectations and demands in their future, nonoperative treatment should still be an option. In the August 6, 2014 JBJS, Grindem et al. do the orthopaedic community a huge service by providing data from a prospectively enrolled and carefully followed cohort of 143 patients with ACL rupture who were treated both operatively and non-operatively. This study design carries all the limitations associated with any cohort study, with selection bias being a big factor. The findings that the 100 patients who selected reconstruction were younger and had expectations of higher-level sport activity are not surprising. This same surgically treated cohort was more likely to experience knee re-injury, probably due to increased exposure from level-I sports. The 43 nonsurgical patients returned to level-II sports in the first year much more quickly and in the second year were more likely to return to level-III sports than their surgically treated counterparts. In essence, there were no major differences between the two populations at two years in terms of knee extensor and flexor weakness. Those findings are no doubt highly correlated to patient factors such as rehabilitation compliance. I conclude that there is still a role for non-operative management of ACL rupture in patients who select this route during a shared decision making process. We know that there seems to be a higher risk of subsequent meniscal injury in people without an ACL, but many patients are willing to accept this risk. Donald Fithian tells us what he thinks of this study in an accompanying JBJS commentary. What do you think?